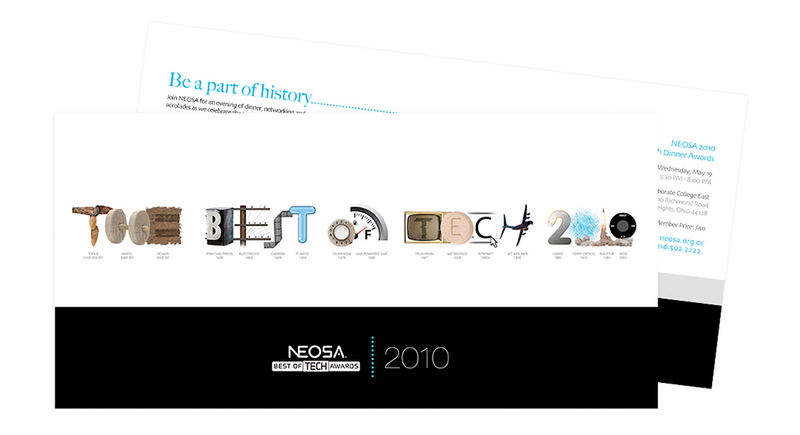 The Northeast Ohio Software Association (NEOSA) is an industry-led, industry-driven organization made up nearly 900 member tech companies from all facets of Northeast Ohio’s information technology sector, and their "Best of Tech" awards event is a huge deal. So, to get the messaging out to the public, Quez Media was pulled in to create a truly unique and creative theme to the Best of Tech Awards- a theme that would be seen on mailers, flyers, banners, walls, and in print publication advertisements. 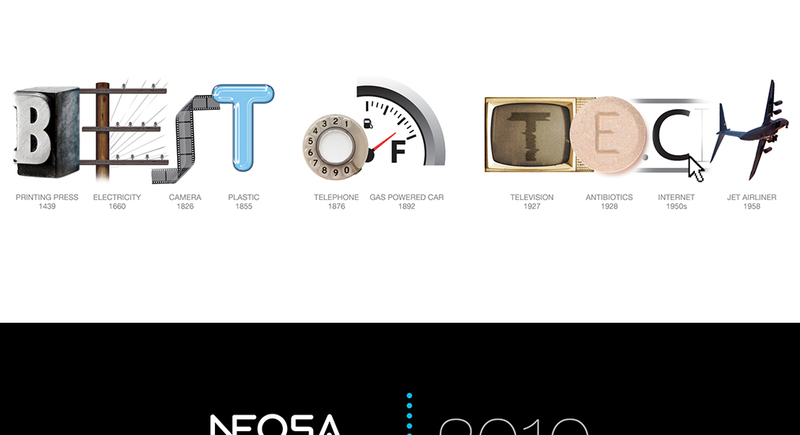 The idea for the theme was to create the name of the event out of a visual timeline of some of the most important technological inventions of all-time, from the first stone tools 3 million years ago, to the iPod. The result is a historic creative concept worthy of an award itself.